To configure an E-mail activity to notify the requester if the requested leave hours are not available, do the procedure in this topic. 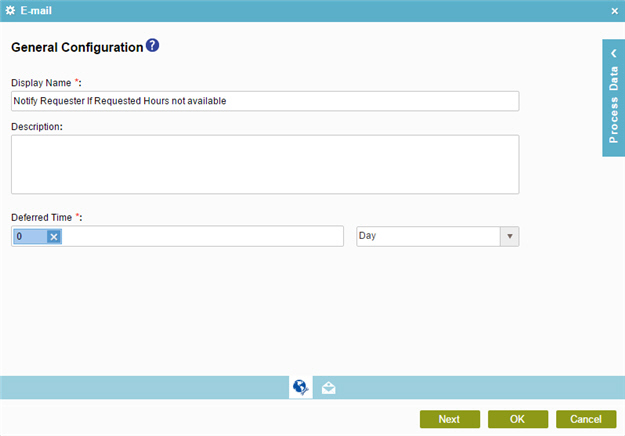 (Example) Create an E-mail Template to Notify the Requester if the Leave Hours are Not Available. On the E-mail Notifications screen, click General Configuration . On the E-mail Notifications screen, select Notify Requester - Leave Hours Requested not available. 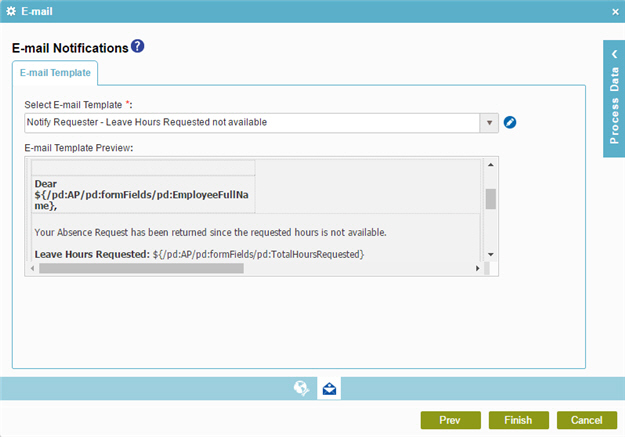 The Process Builder shows the Notify Requester - Leave Hours Requested not available e-mail activity in the example absence request process.